Charming cape with a fantastic lot on a dead end street! Nicely updated eat-in kitchen boasts a good amount of cabinet and counter space, electric range and dishwasher. Hardwood floors extend into the good size living room. Full bath with laundry and updated washer and dryer. 3 season porch just off the front of the home with lots of privacy. Upstairs you’ll find two cozy bedrooms. Master features his and hers closets and a good amount of daylight. Second bedroom features a good amount of space and a nice closet. Outside you’ll find a relaxing deck perfect for a grill or some patio furniture. Home is perched on the corner of a 1.5 acre landscaped lot that provides endless potential. Enjoy a large amount of space, two sheds for storage and mature landscaping that provides a good amount of privacy from the neighbors. 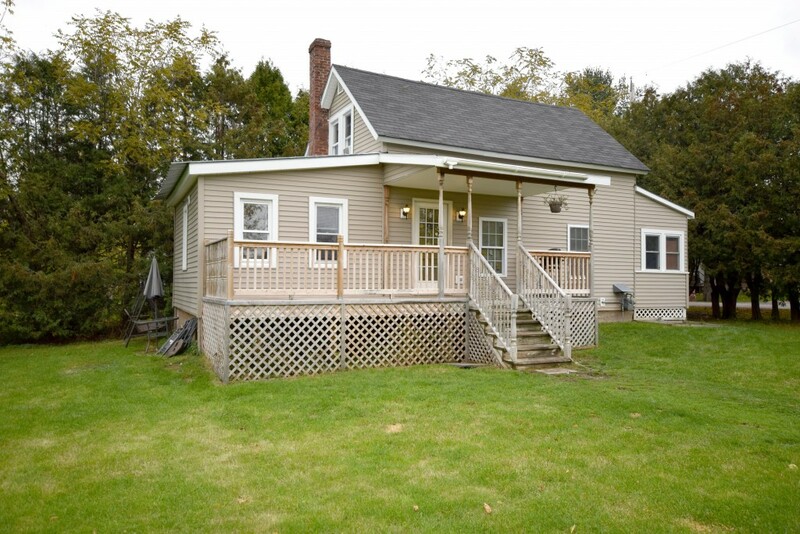 All in a great St. Albans location just minutes from downtown, the waterfront, all the amenities and I-89!